Influencer marketing was a massive success in 2017, with both startups and global brands utilizing it to promote their businesses. 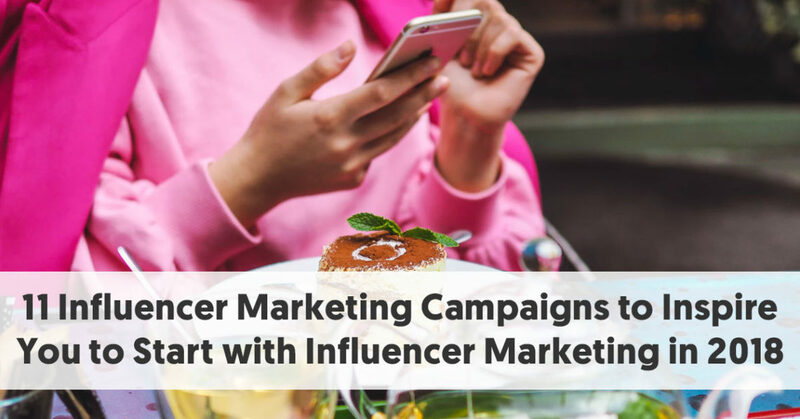 At the same time, there are still many businesses who are reluctant to work with influencers because they’re still skeptical. The good news is that there are numerous influencer marketing campaigns that have yielded impressive results. And these examples can inspire you to start using influencer marketing in 2018. 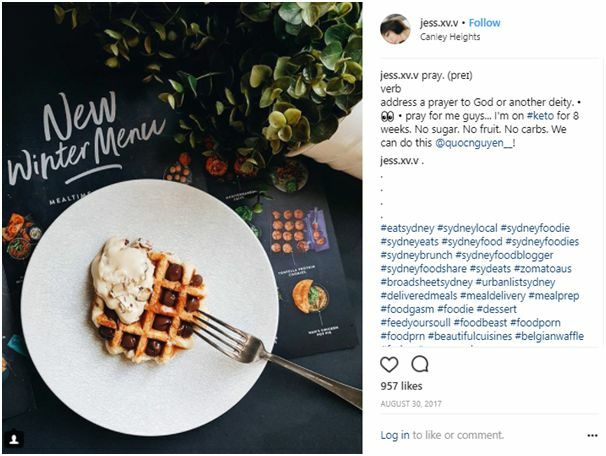 Youfoodz, an Australian fresh meal company wanted to promote the launch of their new winter menu by leveraging Instagram influencers. They focused on influencers relevant to the health, fitness, and food niches. They chose 81 influencers, who created a total of 167 pieces of content, and more than 162 Instagram stories during the campaign. The campaign resulted in almost 70,000 direct engagements on the campaign content. There were also 507,909 total impressions from the campaign content. And it managed to reach almost 1.5 million people across Facebook and Instagram. Pro Tip: Always make it a point to work with influencers relevant to your niche. This will ensure that you reach a highly relevant audience and put your marketing dollars to good use. 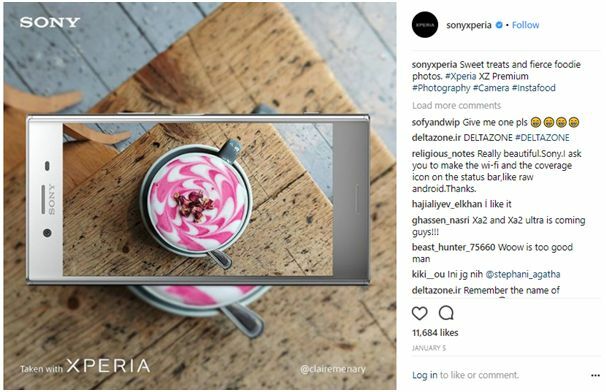 Sony Mobile France wanted to promote their Sony Xperia Z5, which is known for its powerful camera that has a five times zoom. They used the phone’s camera to take a very detailed photo and then cut it into several smaller shots, which were then organized into five layers. After this, they created 100+ Instagram accounts, which were all joined together by tags. People can use these tags to zoom into certain parts of the original photo in order to find 50+ hidden surprises. The brand then worked with 30 influencers, who helped spread the word about the competition. The campaign generated 17 million potential contacts. Pro Tip: Create campaigns that the audience can interact with to drive high levels of engagement. Influencer marketing isn’t only for B2C brands. Even B2B organizations have realized the impact of influencers and started working with them to promote their businesses. One excellent example is that of Time Warner Business Class, which created video testimonials featuring some of their SMB customers. Some of their customers were Green Dot Public Schools and Spectrum Enterprises. Each of the videos highlighted the importance of Time Warner services for business success. The customers talked about how using Time Warner Cable helped them meet their goals. In the end of each video, there was a call-to-action (CTA). 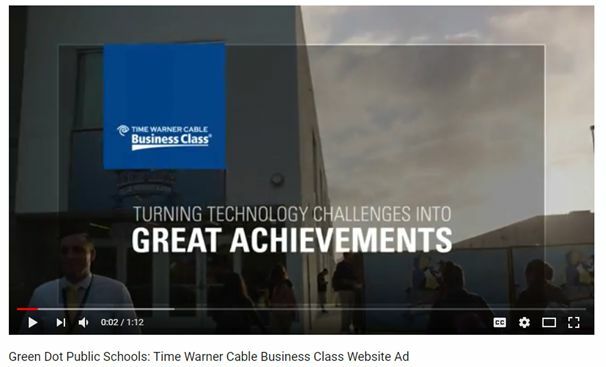 The CTA encouraged viewers to download the ebook, which was titled, “Mighty Mid-Market” to get more information about the connectivity solutions available under Time Warner Business Class. Pro Tip: B2B companies can use influencer marketing to win the trust of potential clients. In these cases, influencers may be anyone from industry experts to the reputable businesses to which they are catering. Choice Hotels wanted to raise consumer awareness and positive perception in addition to increasing consumer consideration for their brands, including Cambria and Comfort Inn. They decided to use authentic influencer content to accomplish this goal. So they chose influencers across various categories such as moms and business travelers. These influencers were invited to Choice Hotel properties located throughout the country. Each of these influencers then shared their authentic firsthand experiences with their audience through videos, blog posts, and photos. 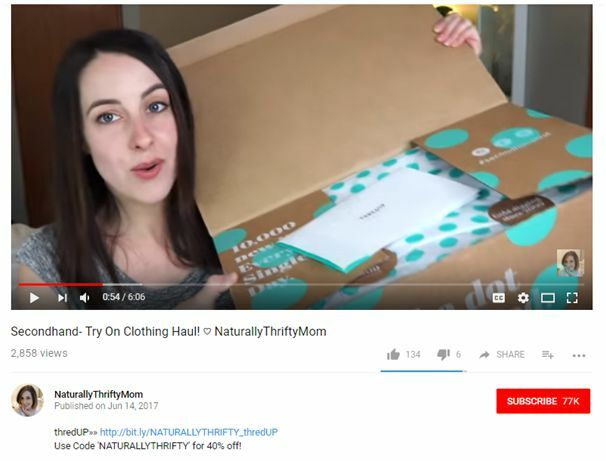 Mommy blogger Chelsea Foy (Lovely Indeed), for example, created a detailed blog post that included a video of her experience. Overall, the influencers created 250+ pieces of content, and managed to get a combined reach of 40 million. On Instagram alone, the campaign generated more than 7,000 engagements from just 40 of the posts, according to a RhythmInfluence case study. Pro Tip: Create unique experiences that influencers can share with their audience. Give them the freedom to use their own voice to maintain authenticity. Lenovo wanted to drive awareness about their new YOGA 3 Pro along with the YOGA Tablet 2 Pro. With the help of CLEVER, the brand worked with trendsetting millennials who showcased their “day with YOGA” using authentic videos and blog posts. The influencers featured the product as a go-to tool to help them in their creative endeavors. For example, mommy blogger Kileen (Cute and Little) created a blog post detailing how the product helped her fulfill her duty as a modern mom. 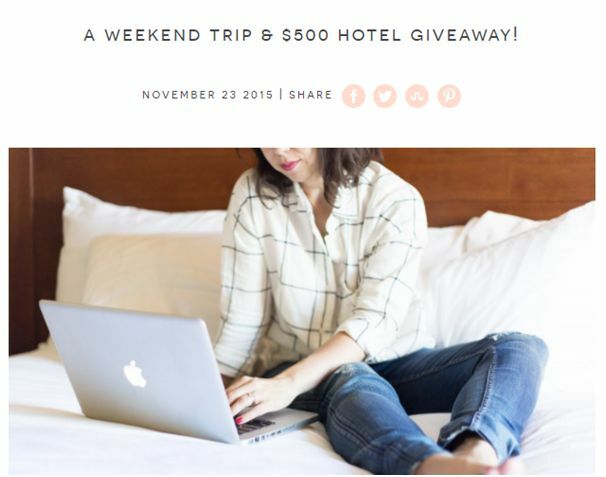 Each of these influencers also promoted a giveaway contest for their readers. The campaign generated 51 million social impressions and became the number 8 trending national topic on Twitter. The giveaway also received 61,000+ entries. Pro Tip: Have influencers showcase your product in use. Preferably, you should try to showcase as many use cases as possible. Another excellent use of influencer marketing is how Pedigree worked with influencers to show their support for a cause in order to humanize their brand. They started a campaign called “Buy a Bag, Give a Bowl,” and partnered with relevant influencers to amplify it. These influencers helped spread the word about the cause using blog posts, social media posts, and video content. 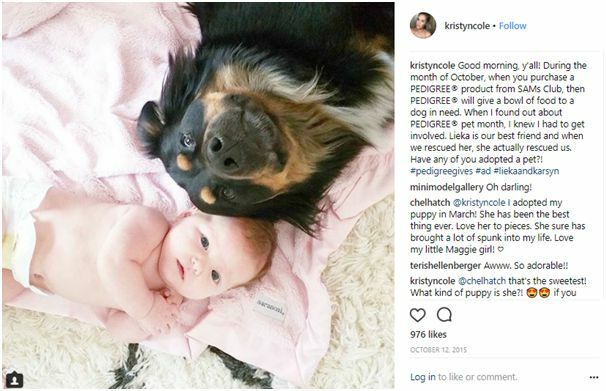 Influencer Kristyn Cole, for example, used Instagram to share a touching story about her dog. She then encouraged her followers to purchase a bag of Pedigree through Sam’s Club. She talked about how the brand would be giving a bowl of food to a dog that’s in need in exchange for each bag purchased from the store. Pedigree experienced a 1.3 times increase in total media value, as a result of the campaign. They generated in excess of 43 million impressions along with 62,800+ content views. The blog post engagements from the campaign was 9,300. Pro Tip: Appeal to the emotions of your target audience by standing up for a good cause and/or encouraging influencers to share touching stories. 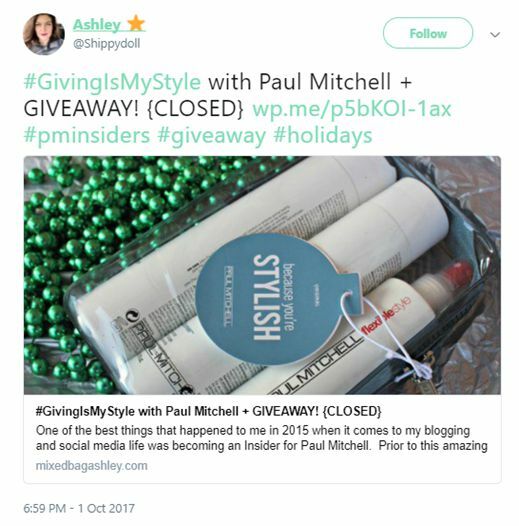 Paul Mitchell is another brand that worked with influencers to promote their support for a cause. The brand started a campaign called #GivingismyStyle, for which they pledged to donate $1 to one of five charities every time the hashtag was used. To promote the campaign, Paul Mitchell worked with Xomad, through which they found several highly engaged influencers. These influencers were then asked to host a Twitter chat in addition to creating social media content featuring the brand’s products. The influencers created posts with calls to action in which they asked their followers to talk about how they give back and use the #GivingismyStyle hashtag. Here’s an example of one of the tweets. The influencers involved in the campaign created 42 blog posts to help promote the cause. The campaign generated 152 million impressions and more than 16,000 social media posts. Pro Tip: Encourage your target audience to engage with your campaign by offering them an opportunity to win free products or experiences while supporting a cause. 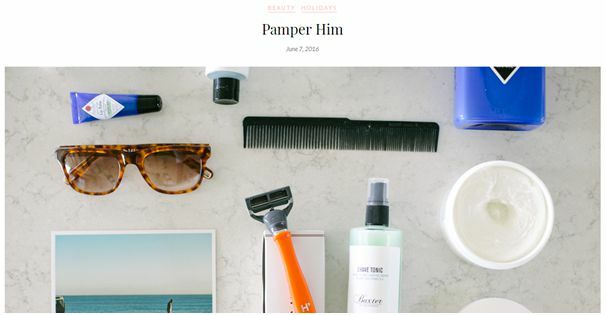 Baxter of California is a brand that deals in grooming and skincare products for men. They wanted to raise brand awareness by promoting a sale on Father’s Day. So they decided to partner with influencers who could help them promote their products and encourage their followers to make the most of the Father’s Day sale. They executed a total of two programs with the help of Linqia, during which the influencers created more than 250 pieces of content. This included blog posts, social media posts, and original photos. The campaign managed to reach 8.3 million people, and had an engagement rate that was 648% higher than projected. Pro Tip: Your campaign could be more successful if there’s something the audience will get in return. Promoting discount codes and limited time offers through influencers is perfect for driving higher engagement rates and sales. Pala Casino Resort and Spa wanted to reach a younger demographic than their usual consumer base. So they decided to invite 21 trendsetting influencers to an on-site event. Each influencer was expected to create at least three pieces of content to effectively convey the resort’s offering to their followers. Hollywood Branded helped facilitate the event and ensured that they covered all the components of the casino. At the same time, they made sure that the influencers were able to enjoy their visit at the casino without feeling tied down by the event. 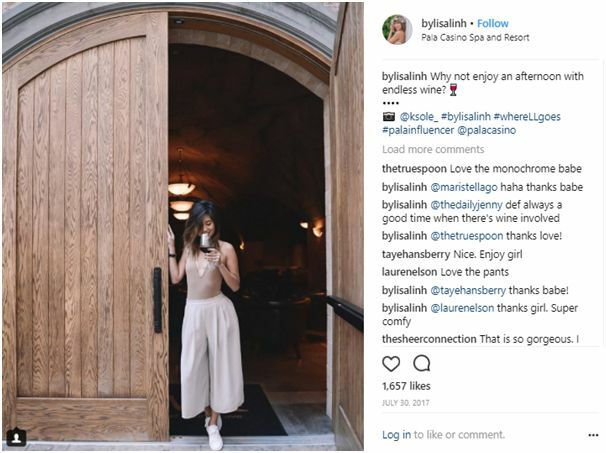 Influencer Lisa Linh posted a picture in which she was enjoying some wine from the resort. The 21 influencers they worked with had a total reach of more than 28 million. 87 pieces of content were created for the campaign, resulting in 50,000 engagements. The brand also managed to gain more than 1,000 new likes on Facebook. Pro Tip: When organizing influencer events, avoid constraining attendees to the event alone. Give them the freedom to explore and enjoy your facilities thoroughly. Bigelow Tea decided to approach influencers for help in promoting healthy living. They wanted to incorporate emotional occasions with their brand’s range of healthy tea to appeal to their target audience. So influencers were required to showcase the emotional appeal of tea drinking in addition to showing its healthy side. 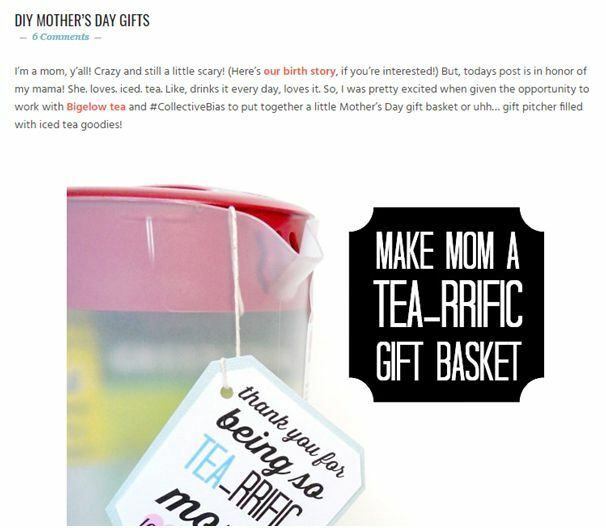 Blogger Jamie (Creating Really Awesome Fun Things), for example, created a blog post about putting together a Mother’s Day gift hamper containing the Bigelow Tea products. After the launch of the campaign, Bigelow Tea experienced a sales lift of 18.5% for their products. The blog post engagements stood at more than 32,000 with 44 million impressions. The campaign resulted in a 3.5 increase in total media value. Pro Tip: Provide influencers with creative freedom that will ensure that they come up with unique ideas to appeal to your target customers. ThredUP is the biggest online store for thrift and consignment. They wanted to drive awareness and improve acquisitions with the help of influencers. Their goal was to roll out campaigns after the holiday period, which is when people are often struggling financially. They partnered with Reelio to quickly create high-quality influencer videos that would reach their target audience during the desired timeframe. Within just four weeks, they were able to produce a total of 15 influencer videos. These videos were viewed more than 364,000 times, and generated over 2 million anticipated impressions. Here’s one of the videos created by Naturally Thrifty Mom. Pro Tip: Video influencer marketing can be a very effective way of engaging and reaching out to your target audience. These are 11 excellent examples of influencer marketing campaigns that can inspire you to work with influencers in 2018. Based on the examples given here, you should be able to gain some insights into how to launch your campaign successfully to accomplish your goals.